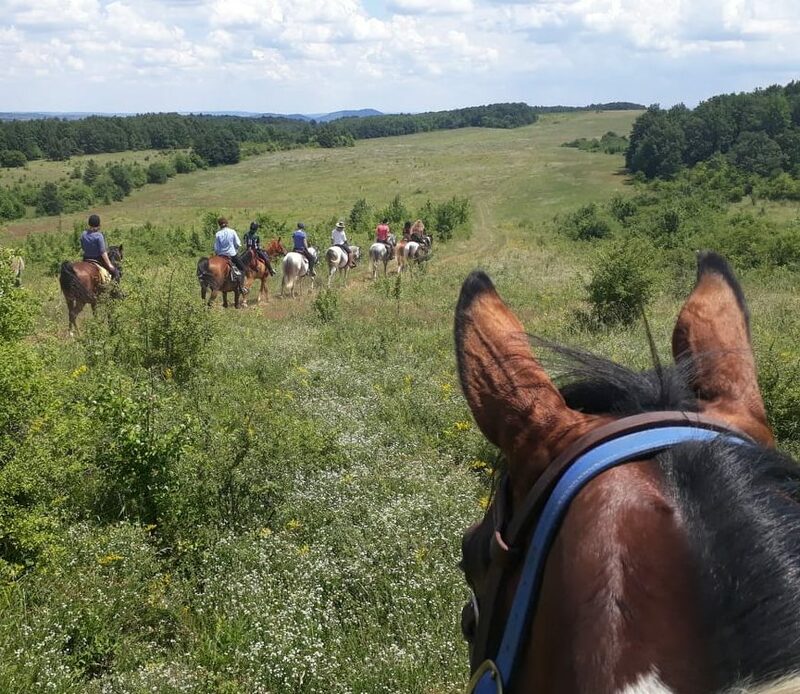 In this latest edition of GG Journeys, In The Saddle’s Lucy Downes tells us about her week in Bulgaria in June 2018. I must admit that I wasn’t convinced. Can you really ride for 6 days and not pass through a gate or ride around a fence? And the answer is a resounding yes. 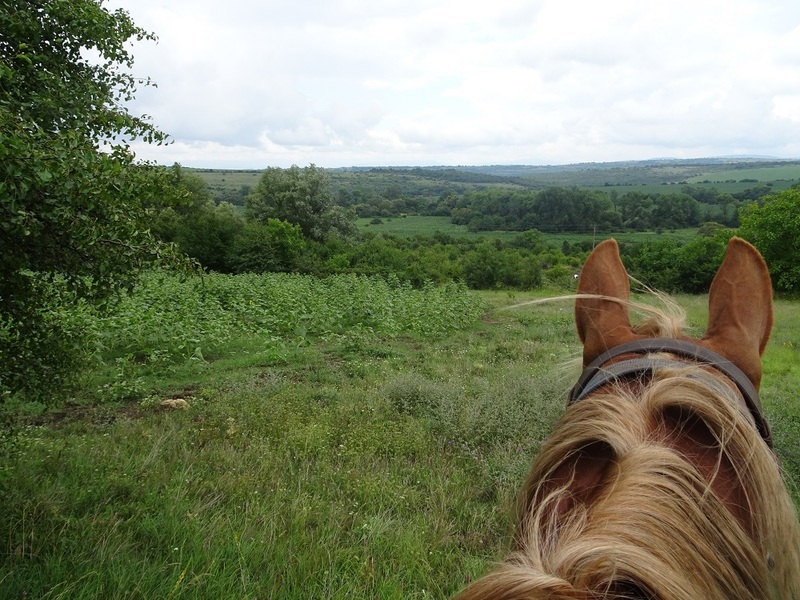 Once we had left the horses’ stables to follow the ‘Caves, Waterfalls and Castles of Bulgaria’ itinerary we really didn’t see any fences all week! Our boys were already tacked up and patiently waiting. 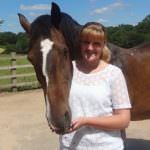 The horses ridden by guests are nearly all geldings, with a couple of stallions such as my steed – a little dapple-grey stallion named Hector. There is a range of Shagya Arabs, pure Arabians and cross breeds of Shagya and East Bulgarian horses, all ridden in a variety of saddles and bridles. Hector had a very comfortable Podium saddle with a sheepskin cover, perfect for the long 3-7 hours we would be riding. 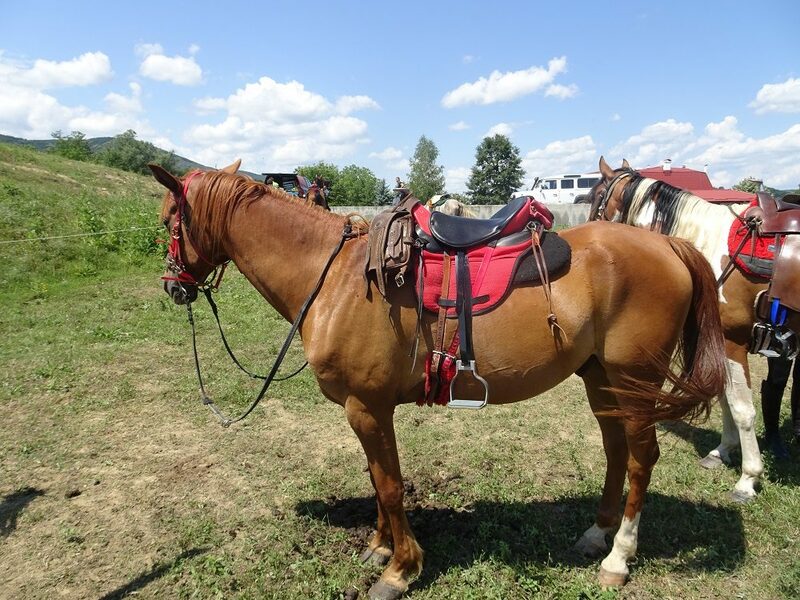 Some of the horses were in Western saddles, with other in full endurance tack. The horses aren’t the only highlight of our rides in Bulgaria – this is a country full of fascinating history and culture, which your hosts will be eager to tell you all about. 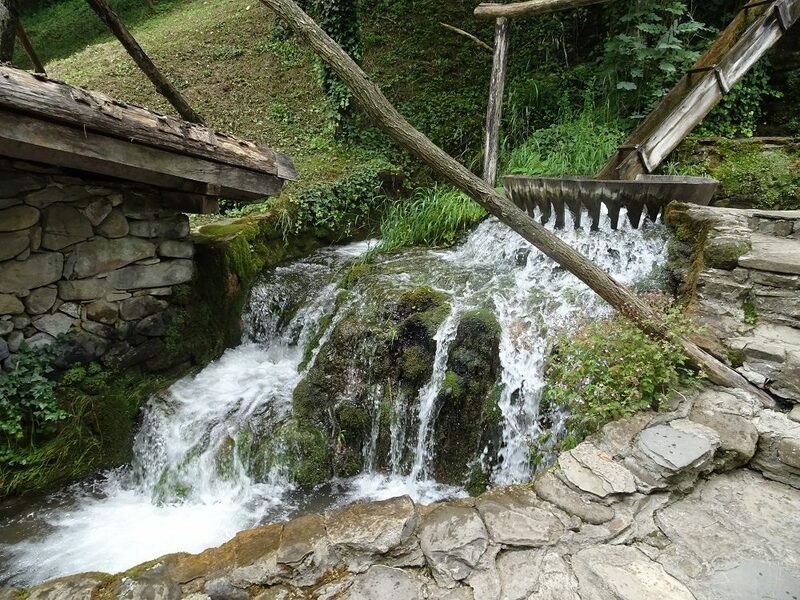 Our first visit, with our guide Rumi, was to the 19th restored village of Gabrovo. Here we saw old-fashioned machines all powered by water set in a beautiful location near the mountains. As the name of the ride implies, we also visited some spectacular caves and waterfalls – my personal favourite being Devetaki Cave. When you drive up to the location of the cave, you can only see forests. But as you start walking closer, the mouth of the cave appears and you can see why this natural bunker was used in the war to hide huge fuel tanks. Now that the tanks have been removed, it has returned to its former beauty with a number of species of bats calling it their home. 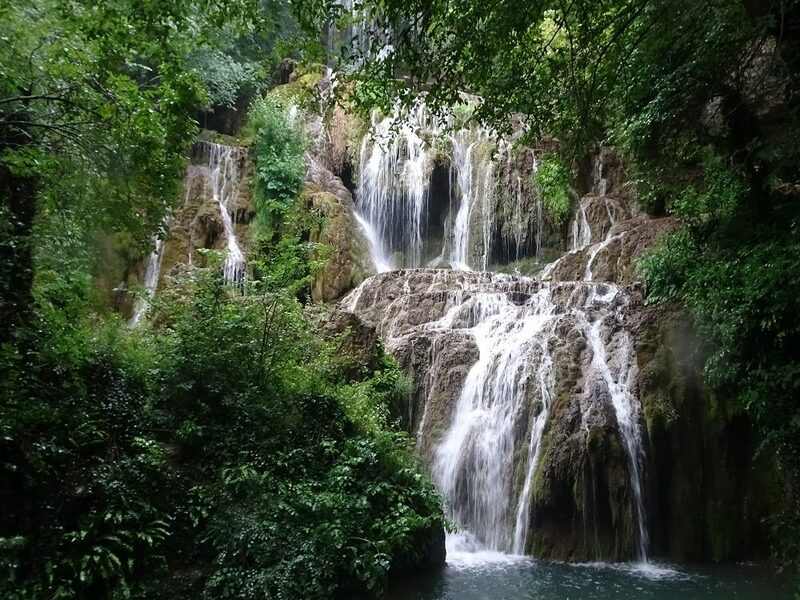 Another tour not to be missed whilst the horses have a day off is to Krushuna’s Waterfall, located near Devetaki Cave. Rumi’s knowledge about all of these different destinations is extensive and the castle at Veliko Tarnovo has a long and impressive history. 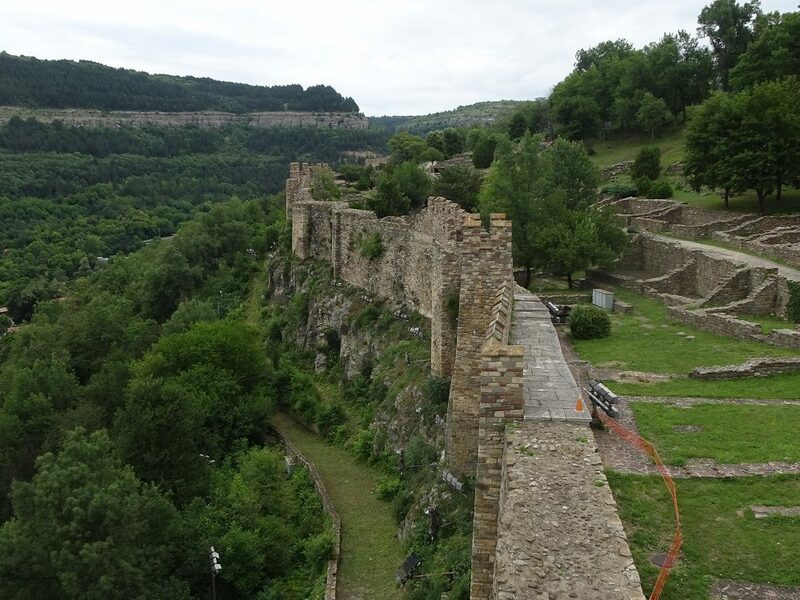 It was interesting to learn about the different battles, betrayals and romances surrounding this hill fortress alone! All four of our 7 night itineraries combine riding and sight-seeing, allowing you to make the most of your time in Bulgaria. 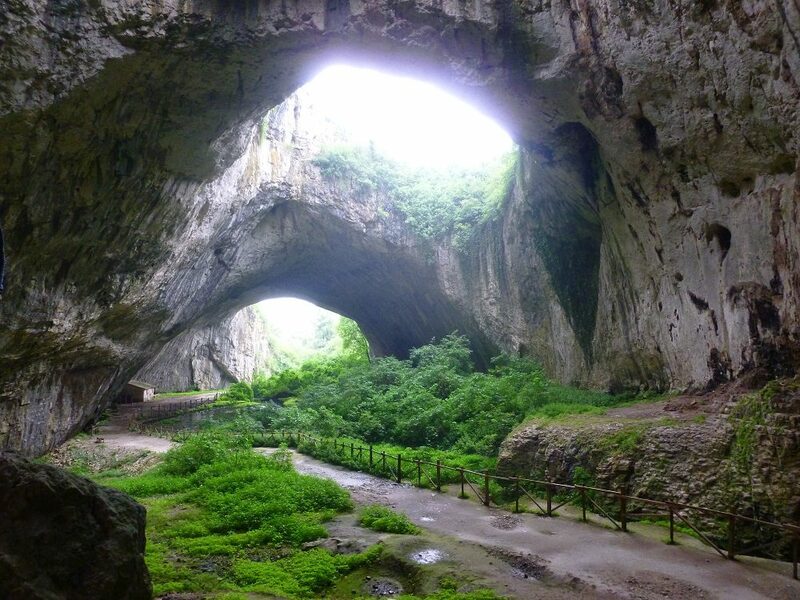 The Caves, Waterfalls and Castles of Bulgaria (which I joined) and the Medieval Bulgaria are based on the north side of the Balkans, whereas the Kingdom of Thracians is in the south – perfect for a return visit to ride your favourite horse. The Balkan National Park Trail and our 8 night Old Bulgarian Capitals itineraries are great for more adventurous travelers seeking long hours in the saddle. 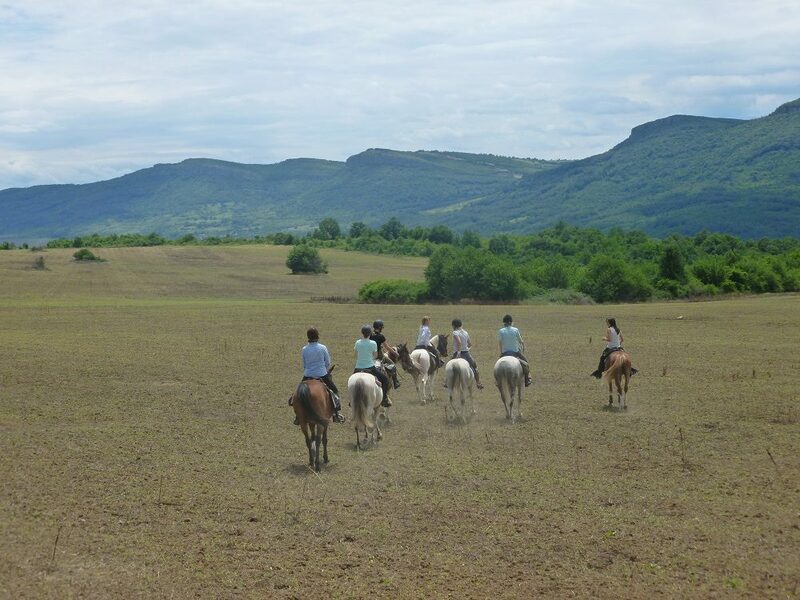 These rides include camping nights and travel further into the Balkan Mountains. 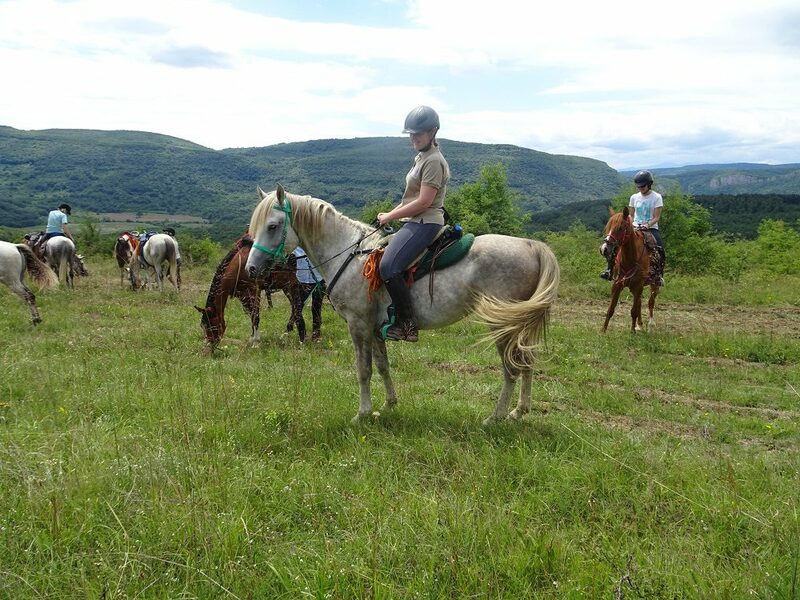 For more information on our rides in Bulgaria or to book your place please call Lucy on tel:+44 1299 272 283 or email lucy@inthesaddle.com or visit our website.